T-Splines modeling technology makes it possible to design ship hulls, yachts and free form superstructures in Rhino like never before. 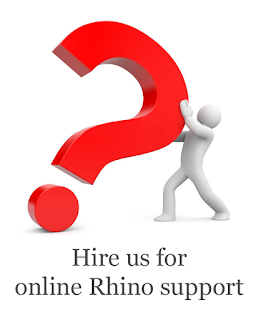 In the marine industry there's no comparable modeling tool as powerful as the T-Splines/Orca3d/ Rhino combination. 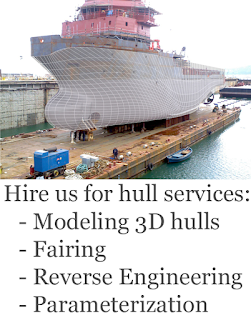 Both high quality as fast results makes it possible to model fair ship hulls in little time. The tight integration with Orca3d offers even more functionality for analysis and modeling power. T-Splines can be applied in preliminary design as well as preparing ship hulls for production. 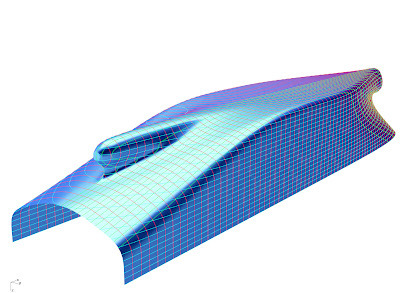 Ship hulls made with Rapid Hull Modeling can be used as input for T-Splines. add creases wherever you like. 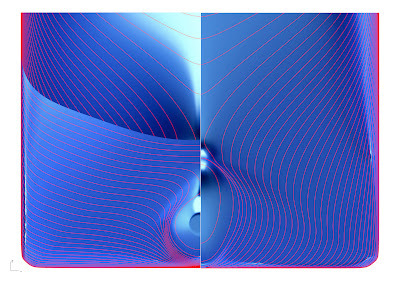 T-Splines surfaces automatically switch to NURBS surfaces when T-Splines is not installed on a computer. All these advantages don't come for nothing. Although the price is very affordable and the T-Splines user interface is very friendly it takes a while to understand the inns and outs of working with T-Splines. Also understanding how to come to high quality surfaces containing low amount of control points takes some time, especially for the first time. Some sixty hours were invested in the results you see in the video. Now several shapes have crystallized it takes less time to edit these or modify them to other ship hull types. 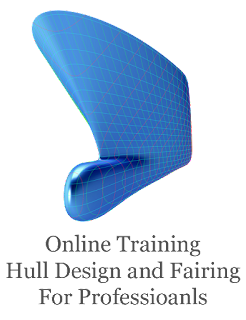 If you think T-Splines adds productivity and quality to your workflow it is worth investing in T-Splines training for marine industry now offered by RhinoCentre.